The Scotts Wizz Spreader is the quick and easy option when it comes to spreading. The Wizz holds up to 2,500 sq. ft. of Scotts lawn care products and features Scotts exclusive EdgeGuard and HandyLock Technology. Use it year round to feed, seed, weed, and melt. 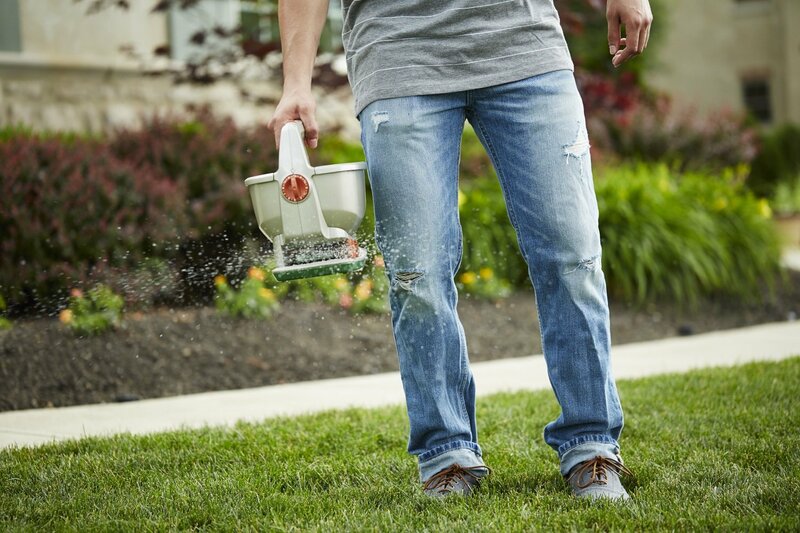 Year-round spreader - Feed, Seed, Weed, Melt Battery-powered 5 ft. broadcast spreader Superior accuracy 23 spreader settings Edge guard, directs product only where you want it Handy lock Self-locking feature minimizes hand fatigue. Coverage Area Up to 2,500 sq. ft.